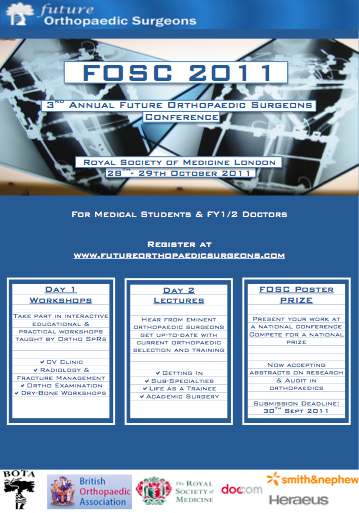 FOSC is the only international orthopaedics conference aimed solely at medical students and junior doctors. Now in it's third year at the Royal Society of Medicine FOSC continues to bring the latest updates on orthopaedic training and selection and cutting edge practical workshops. Day 1 (Friday) will feature practical and educational workshops to give delegates an immersive experience of orthopaedic surgeons. Practical Workshops give delegates hands on experience and will cover Trauma and Elective procedures. 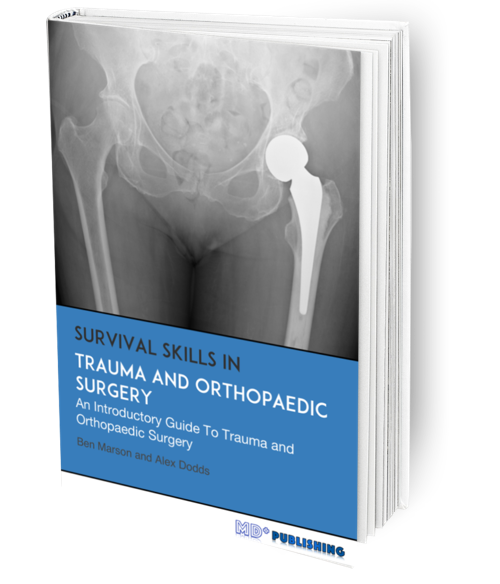 Educational workshops cover radiology interpretation, orthopaedic examination, principles of fracture management and how to maximise your chances of selection. Day 2 (Saturday) consists of lectures from eminent orthopaedic surgeons covering all orthopaedic sub-specialties and giving delegates an insiders view of what life is like as an orthopaedic surgeon.